Doctor Omer Ilahi is an Orthopedic Surgeon specialized in the diagnosis and treatment of disorders of the knee, shoulder, and elbow. Double board-certified by the American Board of Orthopaedic Surgery in both Orthopedic Surgery and Orthopedic Sports Medicine, Dr. Ilahi has numerous research papers and scientific presentations to his credit and has also authored chapters in Orthopedic and Sports Medicine text books. His success in quickly returning injured athletes to their sports has led to Dr. Ilahi being featured in broadcast television news and radio interviews since he began practicing in the Houston area in 1995. He has been an invited speaker at medical meetings, both domestic and international, and has been repeatedly rated a top orthopedic doctor. 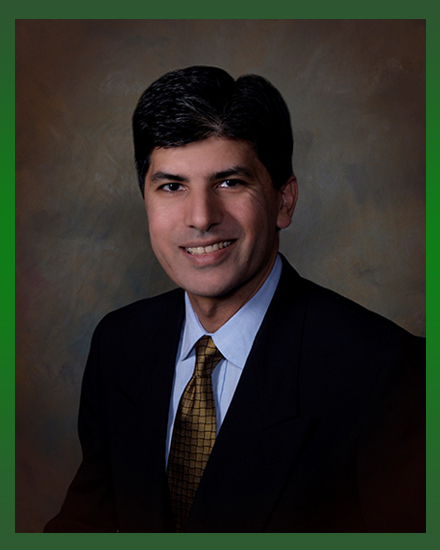 Dr. Ilahi has also served as the President of the Texas Society of Sports Medicine and as President of the Texas Orthopaedic Association. In 2001, Dr. Ilahi founded the Texas Arthroscopy & Sports Medicine Institute (TASMI) in order to promote research, education, and patient care in the fields of sports medicine and arthroscopic surgery. The following year he became a founding partner for South West Orthopedic Group LLP, one of Houston's premiere orthopedic practices. Click to hear what other have to say!